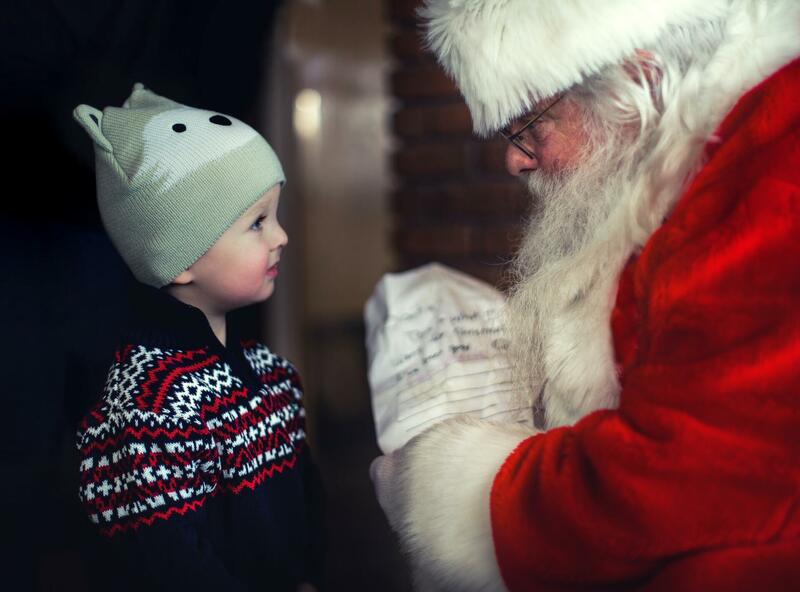 Searching for Santa is a set of playful, unforgettable Christmas experiences for the young and the young at heart, set in Northern Lights Village. Santa’s little helper Elf will meet you and other participating families and be your guide for the day. The day starts with gingerbread baking at the restaurant Kota. After the cookie moment the Elf will take you to meet Santa’s flying reindeer. 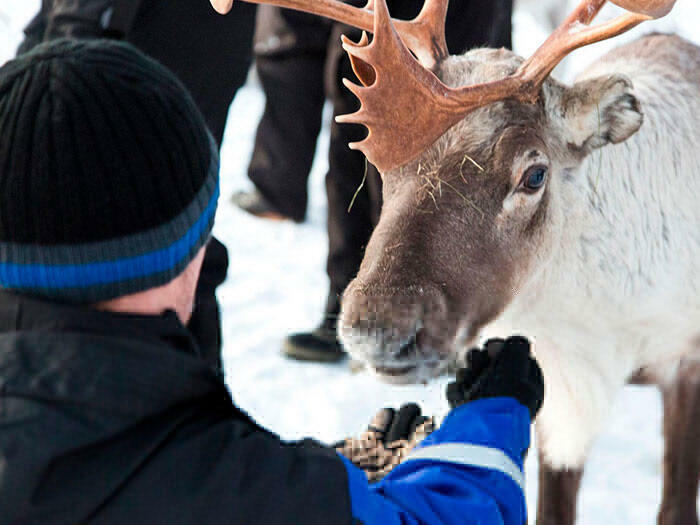 Unfortunately the reindeer only fly on the Christmas night, but you get to take a (short) ride on the reindeer-drawn sledge on snow instead. Then it is time to go searching for Santa’s secret cabin. 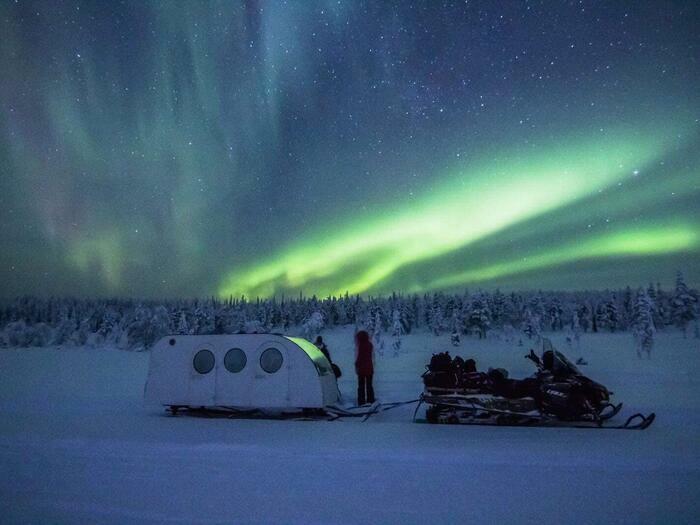 The Snowmobile-Elf will take your family on a heated sledge ride into the forest. If you can find the cabin, Santa will most likely welcome your family in for a private chat and even give small gifts for the children. 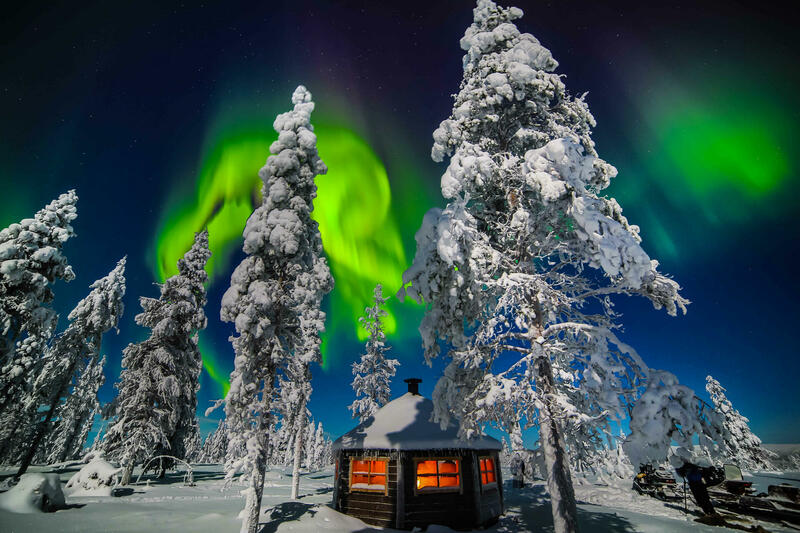 Note: Parents/Guardians are expected to work with the Northern Lights Village personnel, in order to ensure the experience is magical for the children.